Build memories that will last long after the tans have faded. 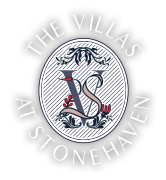 The Villas at Stonehaven prides itself on offering an experience that blends a pristine natural location in Tobago with warm and friendly service. If you have any questions or comments about our resort or would like to know more about local attractions, please contact us and we will gladly assist you. Thanks for reaching out to us! We appreciate your feedback.